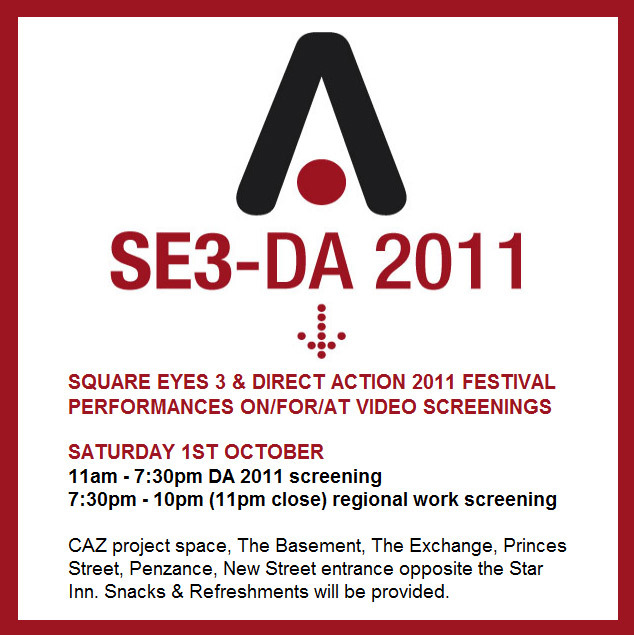 I will be showing 2 video works in this event: ‘Antumbra‘ and ‘Son Of Light‘. There will also be some video work by other recent Falmouth MA Fine Art graduates, including Ann Haycock, Paul Farmer, Nathan Sealbarrow and Daniela Palimariu, who will also be using her Platform. I hope some of you may be able to make the day-long event, or attend in the evening, to experience and enjoy its diversity and international flavour.